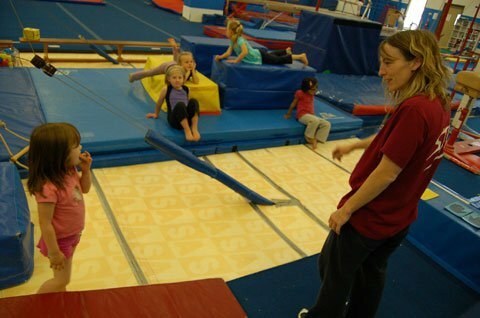 Falcon Gymnastics Centre started in Victoria, B.C., under the direction of Marta Klinovsky. After 33 years of hard work, drive, and dedication, Marta has decided to retire. Today, the gym is under the direction of two very dedicated coaches Peter and Renata Allan. Marta Klinovsky, the founder of Falcon Gymnastics will always be remembered for her passion and love for gymnastics. 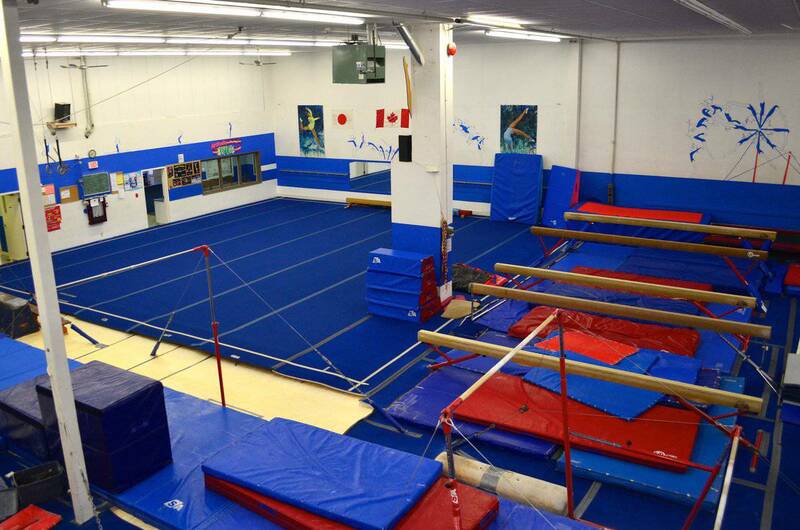 Falcon Gymnastic centre’s primary objective is to ensure that children of all ages and levels have fun while participating in their gymnastics classes. The staff believes this results in a lifetime of increased participation in fitness activities of all kinds. 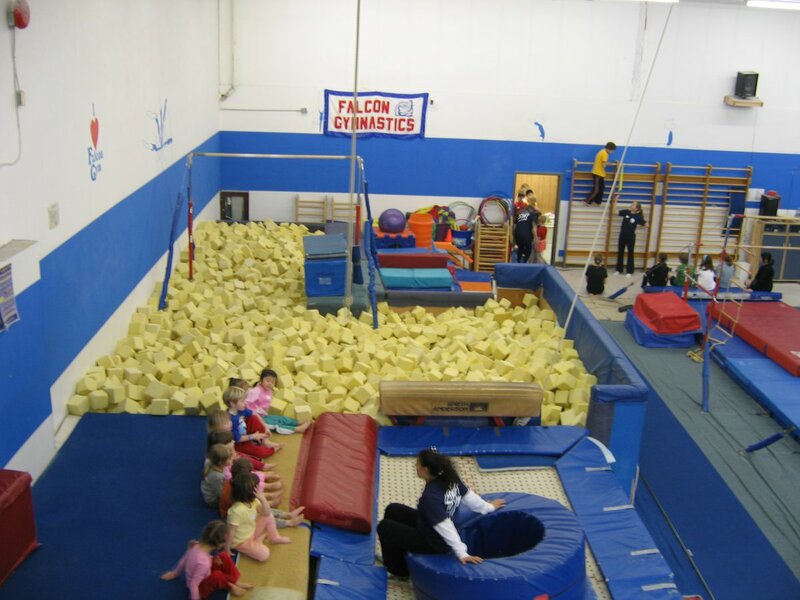 Falcon Gymnastics offers a Full Range of Programs and Camps, from preschoolers to adults, and through the many levels of competitive training. Falcon Gym also has programs for Day Care Groups, Youth Clubs and Recreational Centres. Falcon Gymnastics also hosts Birthday Parties. 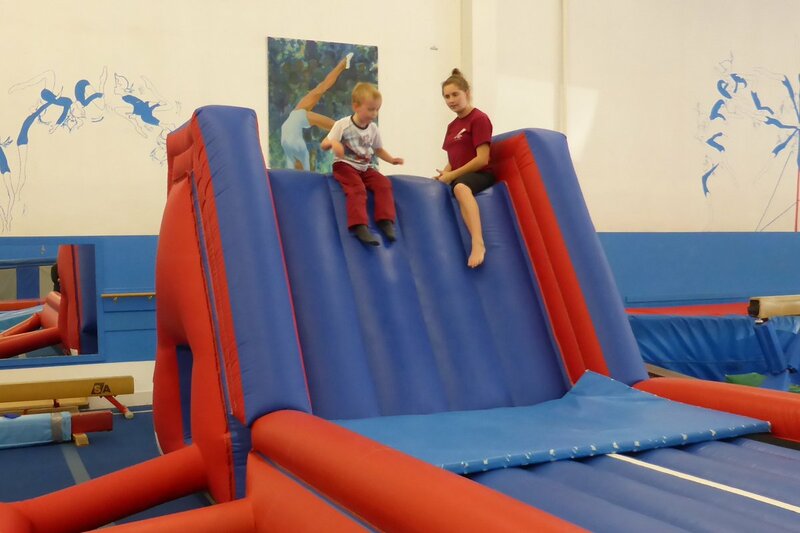 By having your birthday party at Falcon Gymnastics, your child and his/her friends will have access to our trampolines, bouncing castle, foam pit, and much, much, more! Parties are two hours including set-up time: one hour of gymnastics with one or two attendants, depending on the number of party goers; 45 minutes in our decorated party room (large room holds up to a maximum of 16 children; small room holds up to 10 children), plus 15 minutes for Falcon staff to clean-up the area to its original condition. Parties are available Saturdays, Sundays and some weekdays. Falcon Gymnastics supplies invitations, which include directions to their facility. Your child also receives their own free t-shirt. Parents are required to bring the table settings, the cake (candles only please, no sparklers), beverages, and of course.... ENTHUSIASTIC children! Costs are $150.00 for 10 kids including the birthday child, and $8 for any additional guests. Please confirm the number of children at least 24 hours prior to the party. Falcon Gymnastics accept Visa, Mastercard and Interac. A $50.00 non-refundable deposit is required to secure your booking. 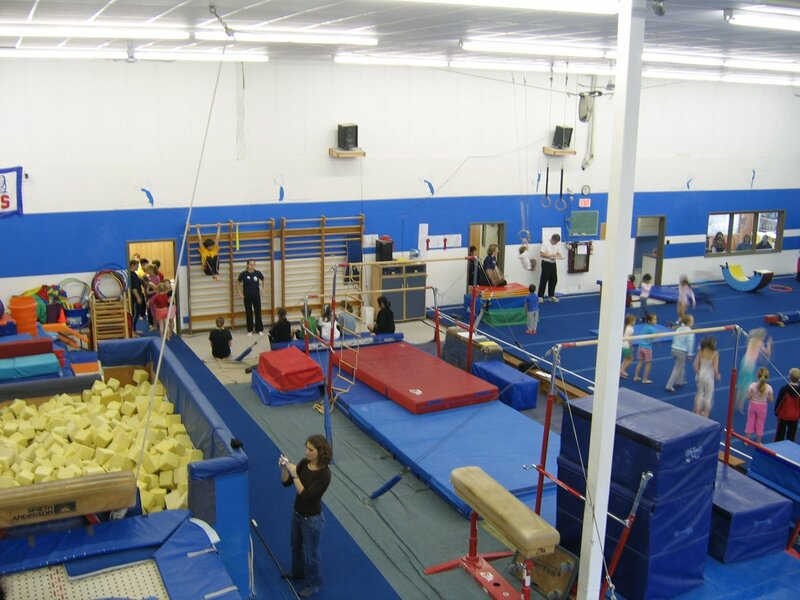 Falcon Gymnastics is housed in a 9876 square foot facility with a full range of state-of-the-art competitive and recreational equipment. special kids Speith Anderson Gym Bugs equipment. Peter has coached at Falcon Gymnastics Center in Victoria, BC for the last 25 years. Allan currently a Level 3 Nationally cerfied coach has coached many Western Canadian Championships and National Championships team members. He has been selected five times as a Team B.C. coach, and in 1999 was nominated as B.C. 's National Coach of the Year. Allan has also coached many Provincial Champions, as well as numerous medal placing B.C. Winter Games Teams. Renata was formerly a coach in a sports school in Bratizlava, Slovakia and now resides in Victoria, BC, Canada with her husband Peter Allan. Renata has coached at Falcon Gymnastics Center for more than ten years now, and is currently a Level 3 Nationally certified coach. Allan has been selected as a Team B.C. coach in 1999 for the Western Canadian Championships, and as a team coach for the 1997 B.C. Winter Games. Renata has coached many Western Canadian Championships and National Championships team members, as well as many Provincial Champions along the way. In addition, Renata is a National Level judge, and is mother to two beautiful children, Monika and Peter. 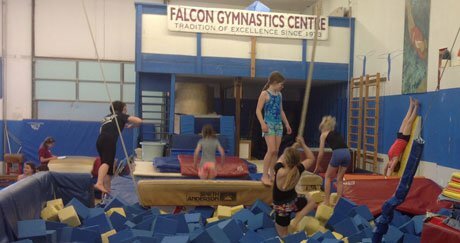 Falcon Gymnastics Centre has 58 sessions listed on ChatterBlock, visit their website for additional information. The instructors and activities were really good. 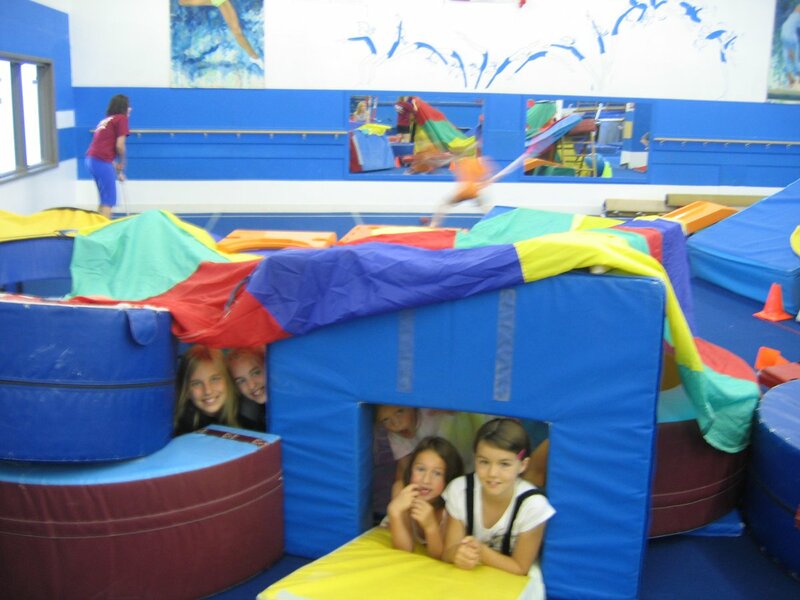 Due to overlapping parties you don't have access to a party room until the children are finished in the gym. This makes getting setting up and ready for cake feel rushed. The room is pretty small and felt a bit cramped. Since the main focus is having fun in the gym it works out fine. Plus the kids don't share any of these concerns and everyone had a blast.